The WWF format is a PDF which cannot be printed out. Clever, huh? Now you can keep others from killing trees. The idea is simple. 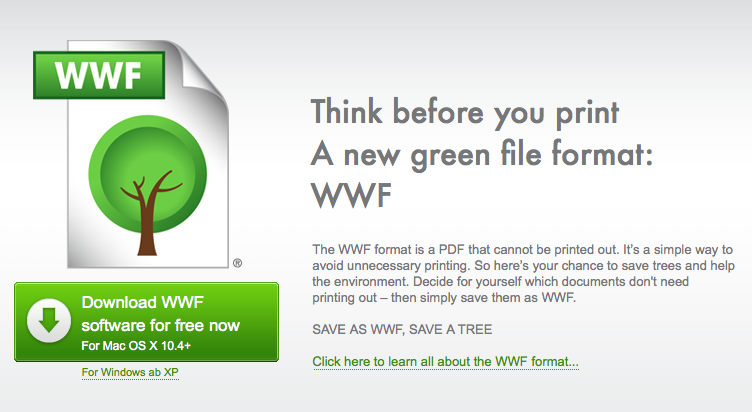 If you want to send a PDF to someone but you feel bad if they print it out, WWF has the answer for you. The WWF format is a small programme which lets you save your files in a unprintable way. You can download the programme here.